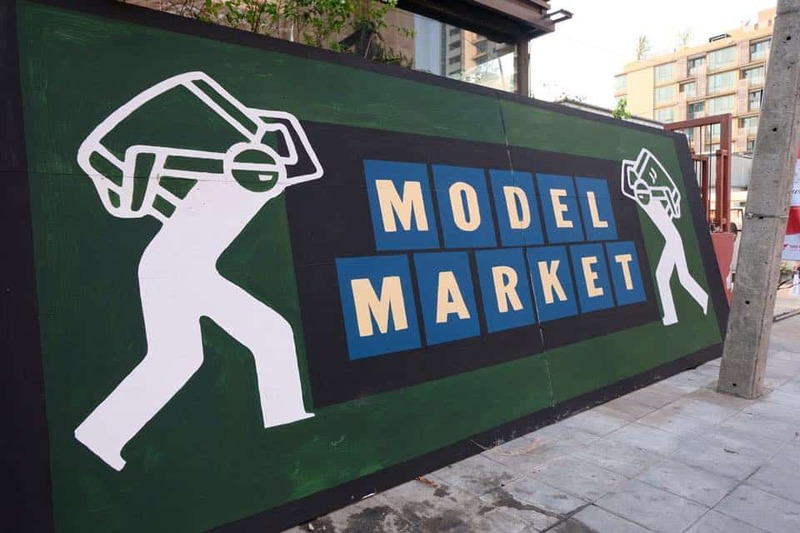 In a city famed for its shopping markets but not so much for its eco-initiatives, Model Market is a welcome addition to the city of Bangkok on both fronts. 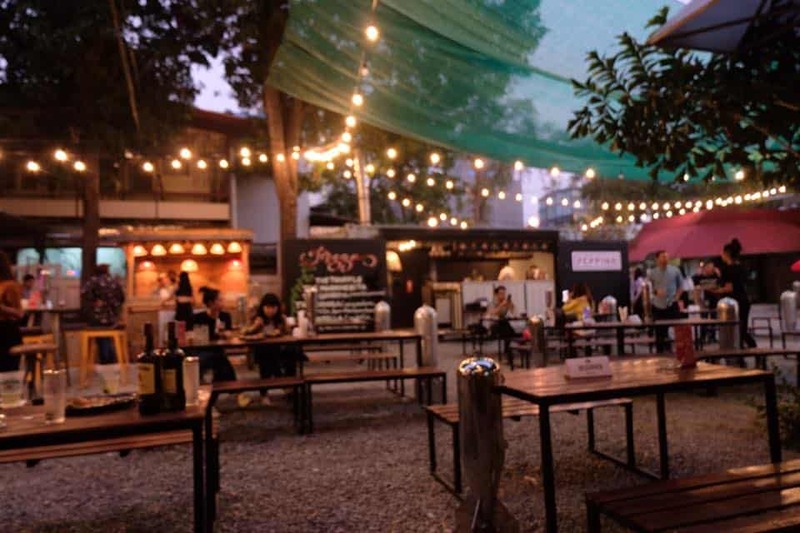 Find food, drinks, shopping, music, and Friday night mayhem in Thonglor with one common theme: upcycling. Calling itself Bangkok’s first upcycle market, the latest addition to Bangkok’s long list of night markets opened last month in a revamped derelict lot in the hip neighborhood of Thonglor and is a meeting of local loves in the food, drink, shopping and music industries all coming together with one mantra in mind: raising awareness surrounding the environmental effects of plastic pollution. The indoor and outdoor urban space is made up of upcycled tables and chairs with its surroundings decorated with graffiti and fairy lights. Some of Bangkok’s most tantalizing eateries have joined the community in the form of food trucks and pop-up shops housing Peppina, Mengkee Hong Kong Roast, Koryo Buffet, Fat Boy Smokehouse, Tropic City, Fat Gut’z Saloon, The Iron Fairies, Nitro Lab, Bootleg Brothers, and many more. A Whiskey Garden by Jameson and Siam Winery have also joined the team to take care of libations. Best of all? 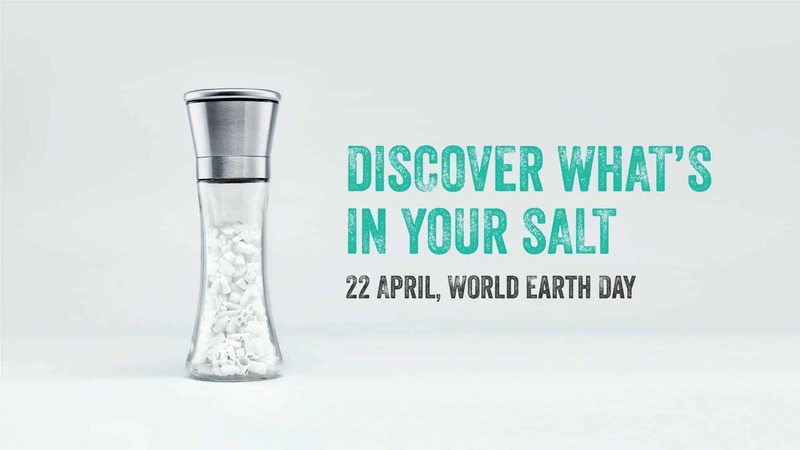 You won’t find plastic straws or other non-biodegradable items here and in an effort to reduce food waste, leftovers will be composted. 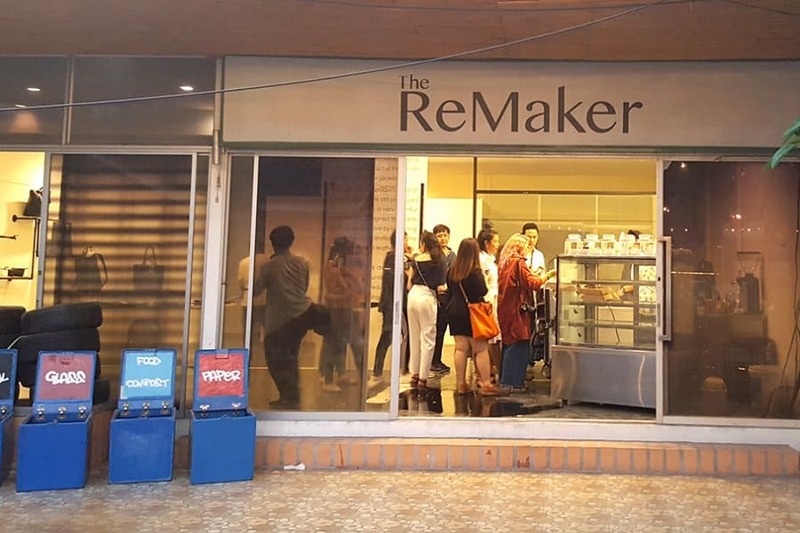 The market is also home to a ReMaker Upcycling Studio, which is space for shopping (think upcycled leather goods), workshops, exhibitions, art installations, and upcycled materials with the idea of inspiring its visitors to lead a more sustainable lifestyle and contribute toward a zero-waste society. And if you’re looking for a place to donate things like clothes, books, toys, and furniture, Model Market has teamed up with local recycling initiatives to provide these services. A farmer’s market and clothes swapping events are also on the agenda with more to come. 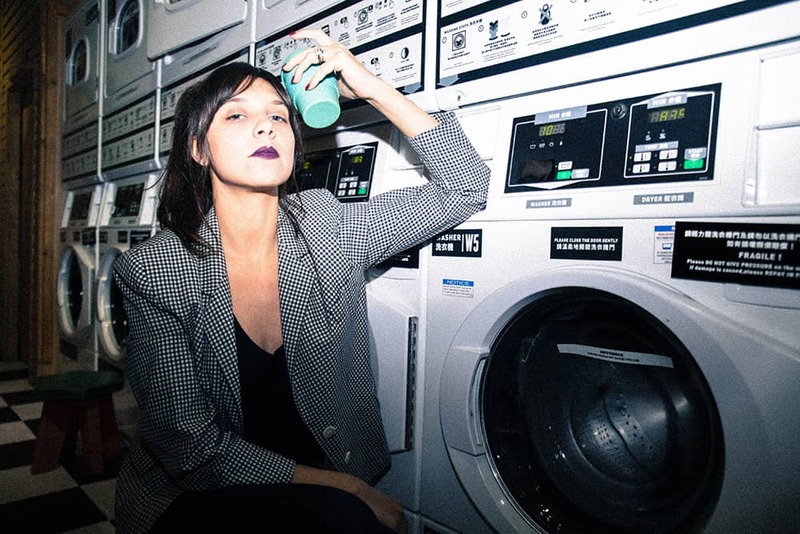 Music accompaniment will be plenty every day of the week and comes courtesy of local and international DJs and musicians but Friday nights are dedicated to a Live Sessions series with live performers running the gamet in style and sound. Who needs clubbing on Fridays when you have a conscious community like this one? Model Market is open Monday – Sunday from 5pm until midnight on Sukhumvit 53/Thonglor soi 9 in Bangkok. Entry is free and pets are welcome.